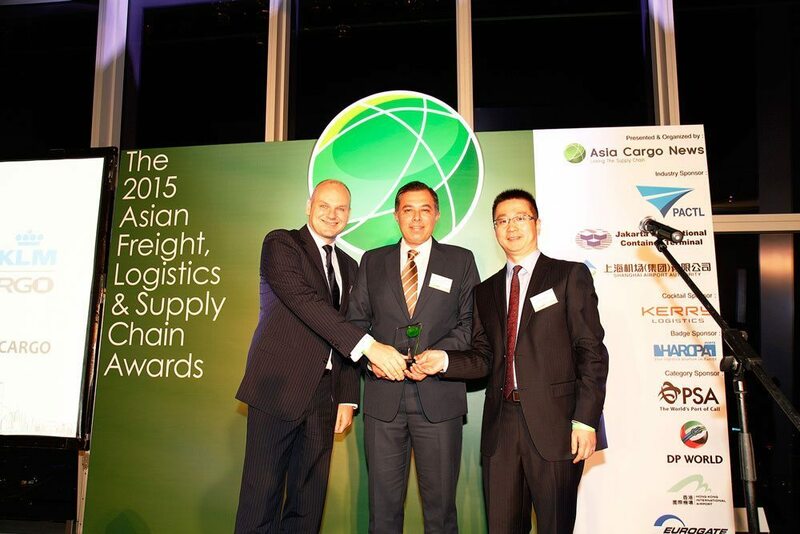 At the 2015 edition of the Asian Freight, Logistics and Supply Chain (AFLAS) Awards, AIR FRANCE KLM MARTINAIR Cargo was presented with the award for Best Air Cargo Carrier – Europe. Hosted and organized annually by Asia Cargo News, the AFLAS Awards acknowledge leading service providers, including air and shipping lines, air and sea ports, as well as logistics companies, 3PLs and associated industry professionals. The nominees and winners are selected by the 15,000 readers and e-news subscribers of Asia Cargo New, who first nominate the leading companies in the market, before selecting the winners. This means the outcome is determined by service users, rather than a panel of professionals. We are proud to be part of the Best Air Cargo Carrier – Europe 2015. And we warmly congratulate Amsterdam Airport Schiphol on winning the award for Best Airport – Europe 2015.